Answers to help you download, install and use our software. General questions about barcodes and how they're used are answered on our FAQ and How To pages. How do I exchange my software for a different one? Where are the barcode fonts on my computer? Where is the barcode wizard on my computer? Where is the software documentation? Where is the software located on my computer? What is the 'UFL' in Crystal Reports? Which license type do I need for Crystal Reports? How will I know when my license expires? Some of our software is not available in Mac or Linux formats; each product page lists its specific OS requirements. Laserjet or inkjet printer, including most contemporary home and office printers. There are known compatibility issues with barcode software and high-speed label or thermal-transfer printers. 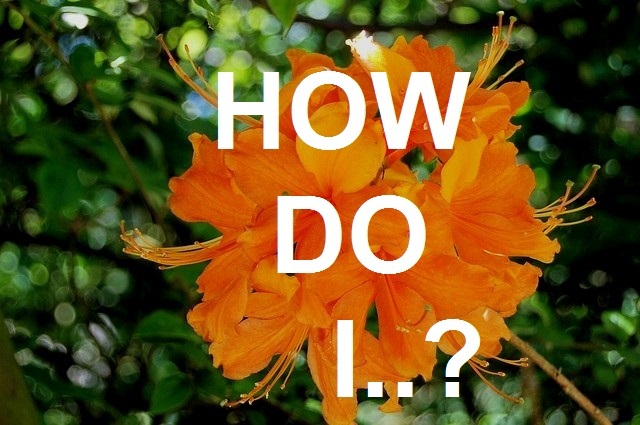 Please contact your specialty printer manufacturer for recommendations before purchasing Azalea (or any vendor's) barcode software. 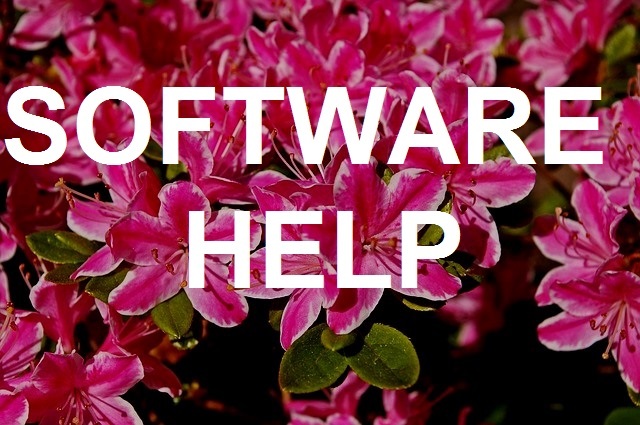 Azalea software interfaces and sample code are in English. If your computer or keyboard utilyzes a language other than English you may encounter issues with some barcode characters displaying improperly. Please email tech support if this occurs. After purchase you'll be directed to and/or emailed a link to download your software. Download instructions may vary from product to product- follow the directions listed on the web page. If you missed the download page or did not receive a download email, please contact us. Once you've purchased and are directed to the software download page, follow the directions listed on the page. Installation may vary from product to product: once the file is downloaded and saved to your computer, double-click the 'SoftwareName_Setup.exe' file to install, or read the 'ReadMe' file for alternate instructions if there is no .exe file. Once you've purchased and are directed to the software download page, follow the directions listed on the page. Installation may vary from product to product: once the file is downloaded and saved to your computer, double-click the 'SoftwareName_Setup.exe' file to install, or read the 'ReadMe' file for alternate instructions if there is no .exe file. Some servers may require a reboot for the software and/or corresponding barcode fonts to appear. 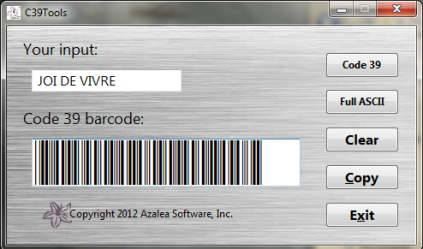 Each individual installation of Azalea software and/or barcode fonts requires license coverage. If you believe you need additional or upgraded licensing contact us. If you purchased within the last 30 days you may be eligible for discounted pricing. 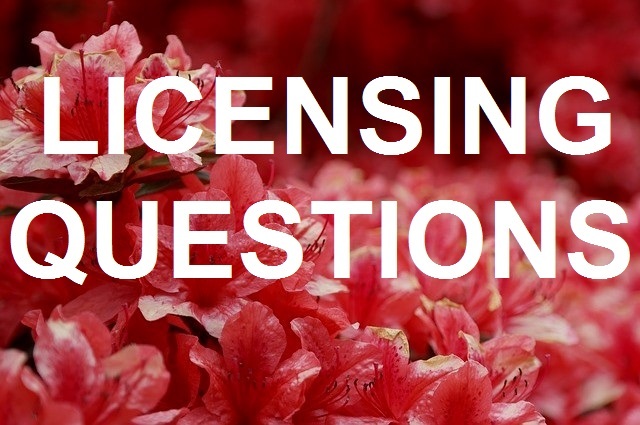 Comprehensive licensing info is available here. Some applications may strip the font formatting from the barcode when you paste. If the pasted data looks like a string of scrambled text, highlight the entire string of text and use your document's font menu to format it into the appropriate Azalea barcode font. Size the barcode up or down by highlighting it and changing the font point size. Don't use font adjustments like bold, italic, smooth, etc. Change the size of the barcode up or down by highlighting it and increasing or decreasing the font point size. Don't use font adjustments like bold, italic, smooth, etc. Troubleshoot by creating a sample barcode in the barcode wizard that came with your software. Copy and paste it into a plain text-based document. Make sure it's formatted into the corresponding barcode font. Size the barcode up quite large by changing the point size, and make sure there's a clear white border all the way around the barcode. Print at highest- or photo-quality. If it scans, the issue lies with how your non-scanning barcodes are formatted in your original document. Size your barcodes as large as is feasible in your original document, and leave a clear white border all the way around it. Don't use font adjustments like bold, italic, smooth, etc. Print at high quality. If it does not scan, double check that you're encoding data that the barcode type allows: for instance, are you trying to create UPC barcodes that contain letters? Are you simply typing your data in a barcode font, rather than using the barcode wizard or our code for Excel, Crystal Reports, etc? If you continue to experience scanning issues after troubleshooting, contact us. Highlight the entire string of text and use your document's font menu to format it into the appropriate Azalea barcode font. Size the barcode up or down by highlighting it and changing the font point size. Don't use font adjustments like bold, italic, smooth, etc. Remember that you can't simply type your data into a barcode font; barcodes must be created in a barcode wizard, or using our code for Excel, Crystal Reports, etc. Make your barcode larger by highlighting the entire 'black box' and increasing the font point size in your font menu. Don't use font adjustments like bold, italic, smooth, etc. Electronically share the barcodes you create by saving them as PDF documents. Be sure to embed all fonts - font embedding should be available in your PDF program options - and save the PDF at high quality. If you need to share your barcodes in raw format with a coworker on a different operating system, this option may be appropriate for you. If full barcode-creation capability is required on another computer, software and licensing for that computer should be purchased. Where are the barcode fonts? 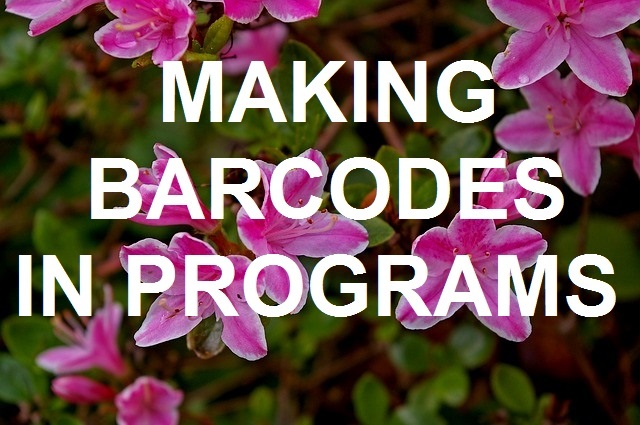 After you install the software, the Azalea barcode fonts that came with the product will be located in your system's font folder. For Windows version this should be C:\Windows\Fonts. For Macintosh this should be Library/Fonts. Where is the barcode wizard? Windows 5.5: 'All Programs/Azalea/ProductName/ProductName Wizard'. Tip: right-click the wizard before opening and choose 'Create Shortcut' to save a copy to your desktop. Windows: documentation is located in the same directory as the rest of the software. Mac: consult the 'ReadMe' file packaged with the software. Windows 5.5: 'All Programs/Azalea/ProductName'. Tip: right-click the wizard before opening and choose 'Create Shortcut' to save a copy to your desktop. All of our software comes with a full 30 day money-back guarantee. Email us with your date of purchase and receipt ID, PO, invoice or transaction number, and please tell us a little bit about why the software doesn't suit your needs. How do I exchange my software? If you've purchased the wrong product (it happens!) and would like to exchange it for a different software, please email us within 30 days of purchase with your receipt ID, PO, invoice or transaction number, and let us know which product you need instead.